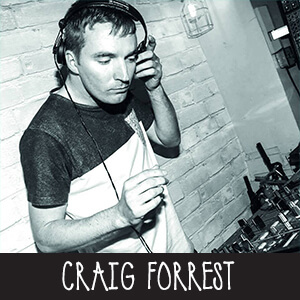 Craig Forrest joined the Kane FM family midway through 2016 showcasing his trademark sound of deep underground house and techno every Tuesday from 11am on his Sound Lab show. With recent appearances at London’s Gigalum warming up for Krafty Kutz, Guildford’s Barthirteen with James Trystan (Bedrock Records/Defected), Afterlife, Koncept and a booking with Lets love Life Festival with Seb Fontaine, Rob Roar, Tristan Ingram & Brandon Block this year has been rather good too him. Craig has also joined forces with the Koncept Alive & the Dirty House/Housewerks crews from Surrey & Hampshire who will be launching there season of events again at various venues in Guildford & the surrounding areas in the coming months. Promoting his own night at Thirty3hz ‘The Sound lab’ Craig will be sure to fire up the dance floor at this upfront house focused night. Craig has been away for a few years after deciding to get his head around music production & has recently released his own single co-produced with Kevin Boyle (Fellow Sound Lab Resident DJ). Prior to that he was a regular for The Gallery at London’s Turmills, warming up for Nic Fancuilli (BBC Radio1, Saved Records), Sister Bliss (Faithless), Jim Shaft Ryan (Miss Moneypennies) and more in the last decade.